Emilia-Romagna ( Emilian: , Romagnol: Emélia-Rumâgna) is an administrative Region of Northern Italy, comprising the historical regions of Emilia and Romagna. Its capital is Bologna. It has an area of 22,446 km2 (8,666 sq mi), and about 4.4 million inhabitants. Emilia-Romagna is one of the wealthiest and most developed regions in Europe, with the third highest GDP per capita in Italy. Bologna, its capital, has one of Italys highest quality of life indices and advanced social services. Emilia-Romagna is also a cultural and tourist centre, being the home of the University of Bologna, the oldest university in the world, containing Romanesque and Renaissance cities (such as Modena, Parma and Ferrara), being a centre for food and automobile production (home of automotive companies such as Ferrari, Lamborghini, Maserati, Pagani, De Tomaso and Ducati) and having popular coastal resorts such as Rimini and Riccione. Before the Romans took control of present-day Emilia-Romagna, it had been part of the Etruscan world and then that of the Gauls. 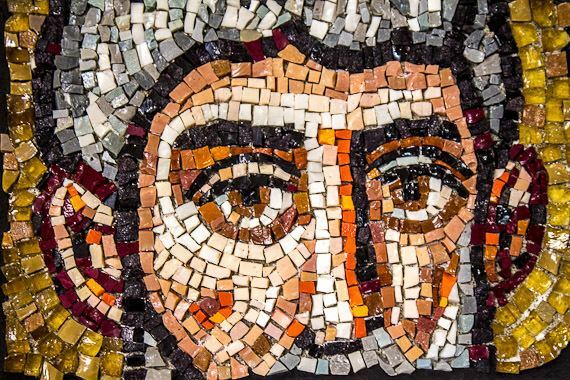 During the first thousand years of Christianity trade flourished, as did culture and religion, thanks to the regions monasteries. Afterwards the University of Bologna—arguably the oldest university in Europe—and its bustling towns kept trade and intellectual life alive. Its unstable political history is exemplified in such figures as Matilda of Canossa and struggling seigniories such as the Este of Ferrara, the Malatesta of Rimini, the Popes of Rome, the Farnese of Parma and Piacenza, and the Duchy of Modena and Reggio. In the 16th century, most of these were seized by the Papal States, but the territories of Parma, Piacenza, and Modena remained independent until Emilia-Romagna became part of the Italian kingdom between 1859 and 1861. After the referendum of 2006, seven municipalities of Montefeltro were detached from the Province of Pesaro and Urbino (Marche) to join that of Rimini on 15 August 2009. The municipalities are Casteldelci, Maiolo, Novafeltria, Pennabilli, San Leo, SantAgata Feltria and Talamello. On 20 and 29 May 2012 two powerful earthquakes hit the area. They killed at least 27 people and caused churches and factories to collapse. Also 200 were injured. The 5.8 magnitude quake left 14,000 people homeless. 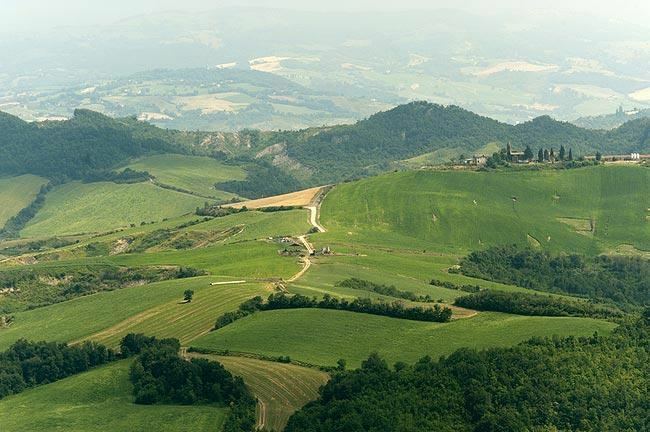 The region of Emilia-Romagna consists of nine provinces and covers an area of 22,446 km2 (8,666 sq. mi. ), ranking sixth in Italy. Nearly half of the region (48%) consists of plains while 27% is hilly and 25% mountainous. The regions section of the Apennines is marked by areas of flisch, badland erosion (calanques) and caves. The mountains stretch for more than 300 km (186.41 mi) from the north to the south-east, with only three peaks above 2,000 m - Monte Cimone (2,165 m), Monte Cusna (2,121 m) and Alpe di Succiso (2,017 m). The plain was formed by the gradual retreat of the sea from the Po basin and by the detritus deposited by the rivers. Almost entirely marshland in ancient times, its history is characterised by the hard work of its people to reclaim and reshape the land in order to achieve a better standard of living. The geology varies, with lagoons and saline areas in the north and many thermal springs throughout the rest of the region as a result of groundwater rising towards the surface at different periods of history. All the rivers rise locally in the Apennines except for the Po, which has its source in the Alps in Piedmont. The northern border of Emilia-Romagna follows the path of the river for 263 km (163.42 mi). Vegetation in the region may be divided into belts: the common oak belt which is now covered (apart from the mesóla forest) with fruit orchards and fields of wheat and sugar beet, the pubescent and Adriatic oak belts on the lower slopes up to 900 m, the beech belt between 1,000 and 1,500 m and the final mountain heath belt. 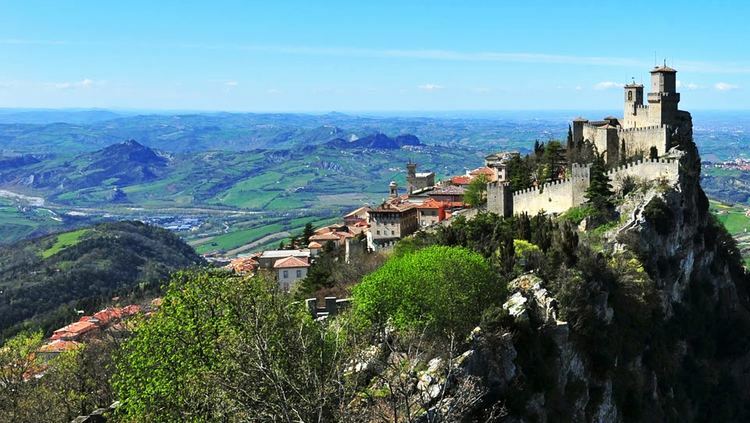 Emilia-Romagna today is considered one of the richest European regions and the third Italian region by GDP per capita. These results have been achieved by developing a very well balanced economy that comprises Italys biggest agricultural sector as well as a long-standing tradition in automobile, motor and mechanics manufacturing. Emilia-Romagna is the main setting for Bernardo Bertoluccis epic 1900. Rimini gave birth to Federico Fellini, and Ferrara to Michelangelo Antonioni. Emilia-Romagna is known for its egg and filled pasta made with soft wheat flour. Bologna is notable for pasta dishes like tortellini, lasagne, gramigna and tagliatelle which are found also in many other parts of the region in different declinations. The Romagna subregion is known as well for pasta dishes like, garganelli, strozzapreti, sfoglia lorda and tortelli alla lastra. In the Emilia subregion, except Piacenza which is heavily influenced by the cuisines of Lombardy, rice is eaten to a lesser extent. Polenta, a maize-based dish, is common both in Emilia and Romagna. The celebrated balsamic vinegar is made only in the Emilian cities of Modena and Reggio Emilia, following legally binding traditional procedures. Parmigiano Reggiano (Parmesan Cheese) is produced in Reggio Emilia, Parma, Modena and Bologna and is much used in cooking, whilst Grana Padano variety is produced in the rest of the region. Although the Adriatic coast is a major fishing area (well known for its eels and clams), the region is more famous for its meat products, especially pork-based, that include: Parmas prosciutto, culatello and Felino salami, Piacenzas pancetta, coppa and salami, Bolognas mortadella and salame rosa, Modenas zampone, cotechino and cappello del prete and Ferraras salama da sugo. Reggio Emilia is famous for its fresh egg-made pasta cappelletti (similar to Bolognas tortellini but differing in size), the typical erbazzone a spinach and Parmigiano Reggiano salted cake and its Gnocco Fritto some kind of mixed flour stripes fried in boiling oil, enjoyed in combination with ham or salami. 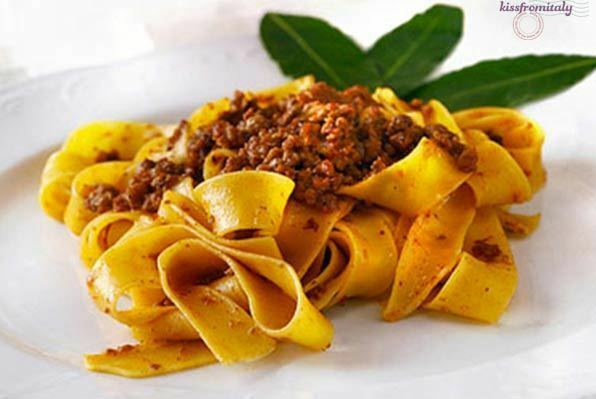 Piacenza and Ferrara are also known for some dishes prepared with horse and donkey meat. Regional desserts include zuppa inglese (custard-based dessert made with sponge cake and Alchermes liqueur) and panpepato (Christmas cake made with pepper, chocolate, spices, and almonds). An exhaustive list of the most important regional wines should include Sangiovese from Romagna, Lambrusco from Reggio Emilia or Modena, Cagnina di Romagna, Colli Piacentini and Trebbiano from Piacenza.